I've been having a bit of a spring clean and have found a few odds and ends of covers etc, which I am going to offer for sale here, rather than add them to our web-shop, at least initially. Mostly there is only one of each of these, so this will give blog-readers a chance to buy before the other shop users. Some of these were obtained for customers who changed their minds, in other cases there was a misunderstanding* about what was wanted, and in others I decided to do one more than was ordered 'just in case'. If you would like to buy any of these, send an email at the usual address (see top right), and leave a comment to say that you have sent the email and about which item. That way other readers will know that they are reserved. *I'll wait a week after publication of this blog in case there was a double misunderstanding and the original customer did actually want it, before we close the deal and make arrangements for posting and sending. These items can be combined with purchases from the shop for one postage charge and one payment, so if you buy from the shop and want to add one or more of these, please do not pay online, but choose the 'pay by cheque' option on the shop and wait for an email about the total cost. 1. The David Bowie Fan Sheet is one of the products produced by Royal Mail for Bowie Fans rather than for stamp collectors. 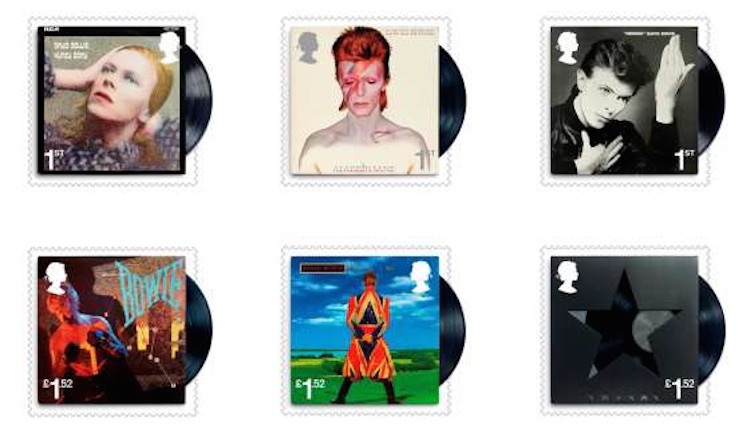 The idea is that the stamps in the fan products (such as in previous high-cost prestige stamp books) will be exactly the same as those sold in Post Offices and so you, the collectors, won't need to buy them. 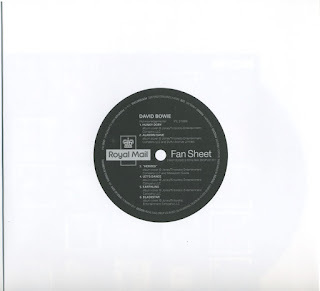 Except of course in this case Royal Mail made a major and silly mistake by producing all the Fan Sheets on cheap gummed paper whilst printing the stamps for postage on self-adhesive paper. 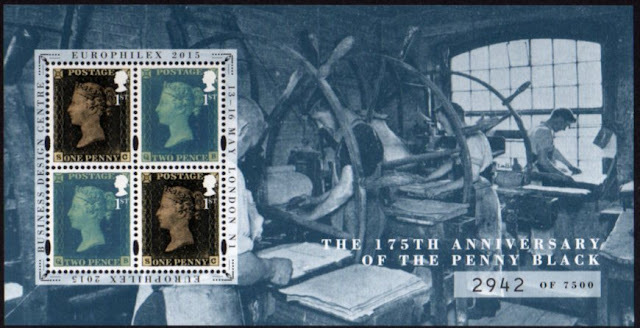 Due to the premium price these will probably not be given a full listing in Stanley Gibbons' catalogues. But the German catalogues are different: these are different stamps, and stamps printed by a different process normally get a MAIN number in Michel. 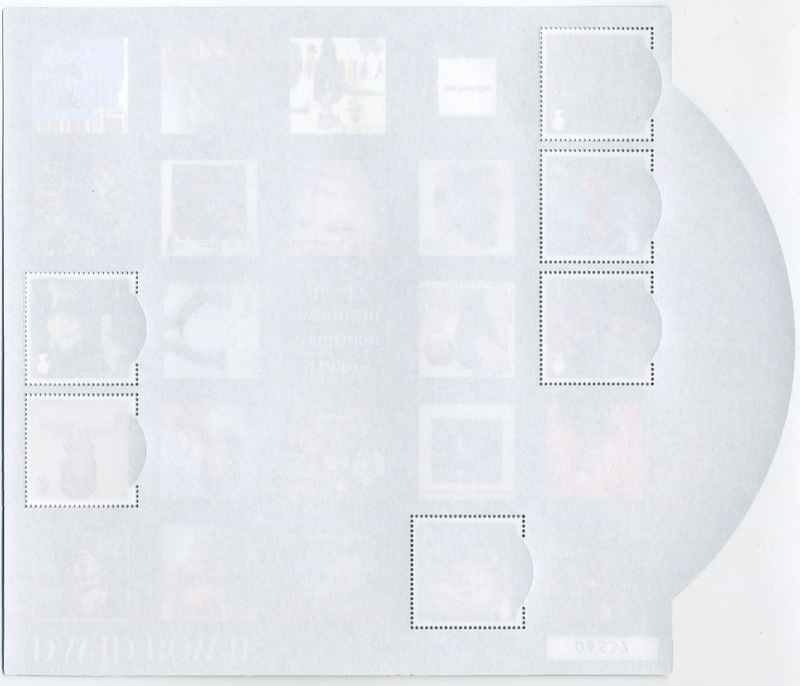 And that means that users of Lighthouse, Lindner, SAFE, KaBe albums will find that there is a space therein for these ordinary gummed stamps. 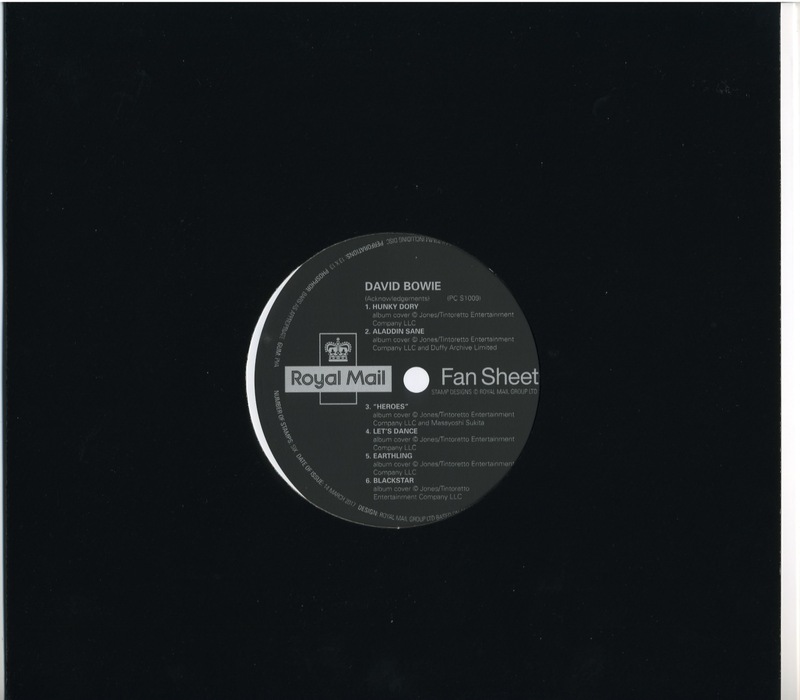 Only 10,000 of these were produced and I believe 2,500 were retained by Royal Mail for their special 'packages'. But you won't want to break up the sheet for the album! The sheet square is in a white open-top sleeve, which itself is in a black side-opening sleeve. This sheet has been sold on eBay for at least £85, but also lower. Our price is £27.50 plus postage: this is 240mm square so will have to be posted anywhere as a Large Letter. 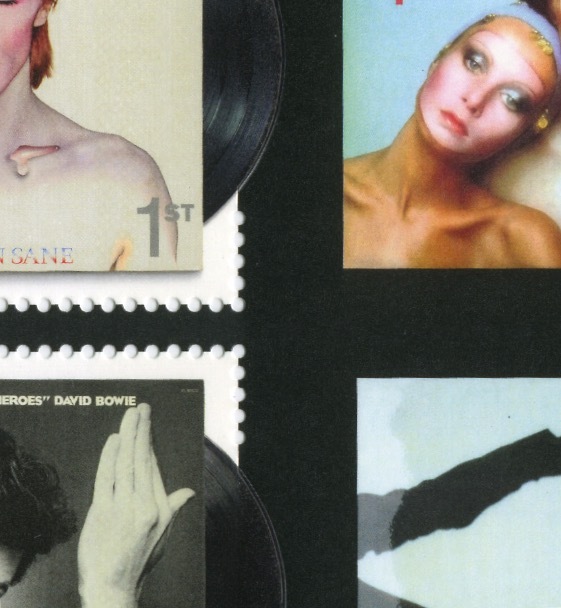 Packaging will also make it heavier than a packet of stamps, but we will use collectable stamps and have them hand-cancelled at the PO counter. 2. 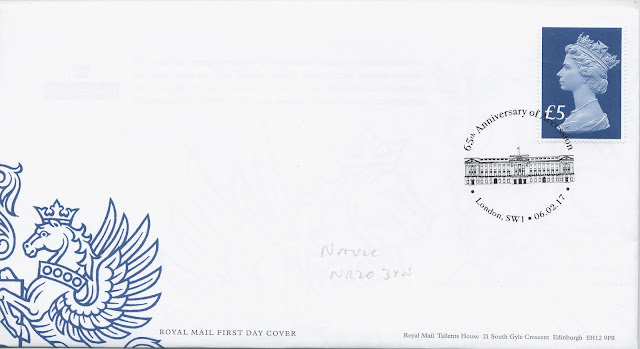 The £5 blue Accession Anniversary stamp was available in only a few post offices so collectors were unexpectedly unable to create their own first day covers. We have one copy left, with the Buckingham Palace pictorial postmark at £9.50 plus p and p.
This was Royal Mail's first recent foray into postally valid exhibitions souvenirs, intended to encourage attendance at the 2015 show. Whether or not there were any left to be destroyed at the end of the show, it was in short supply away from London and rapidly climbed in price. We have one left, priced at just £20. 4. Still on Europhilex, we have one first day cover with the new Machin Horizon label. 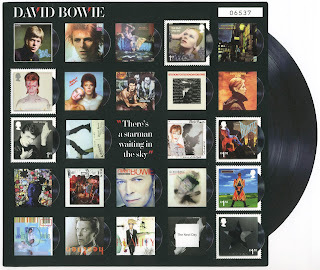 This is on the webshop at £19.95 but we are offering it here at £15, subject unsold. 5. 2016 World War I Presentation Pack Error. 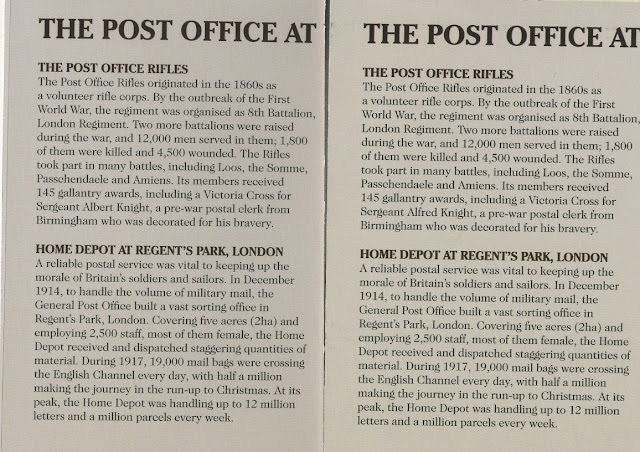 Embarrasingly Royal Mail didn't notice that the name of the PO Rifles Victoria Cross winner was wrong in the presentation pack, where he was named Albert Knight instead of Alfred Knight. Packs with the error reached the lofty heights of £180+ on eBay before settling to more sensible figures, but some dealer price lists still show 'POR', and Packs and Cards list it at £120. 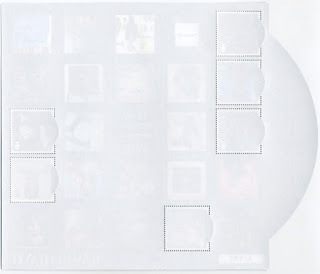 The pack contains the set of 6 and the miniature sheet and set of 6 stamps. 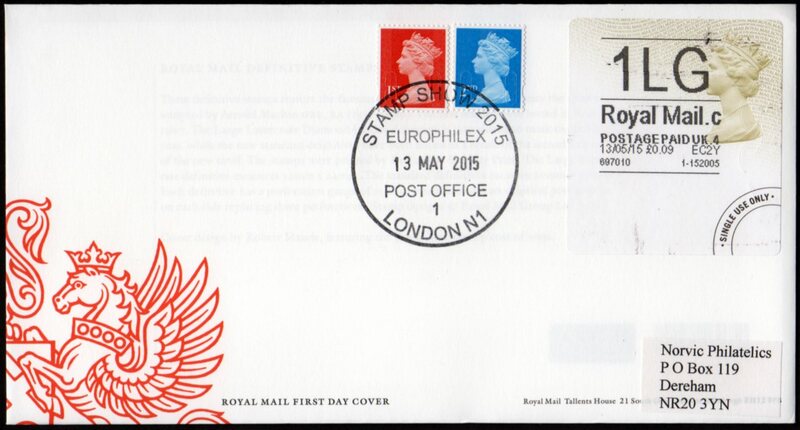 Our price is £75 for the error or £85 for both error and reprint, plus postage and packing. 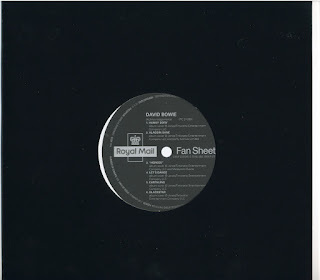 I've sent you an e-mail about the David Bowie Fan Sheet which I'd like to buy.